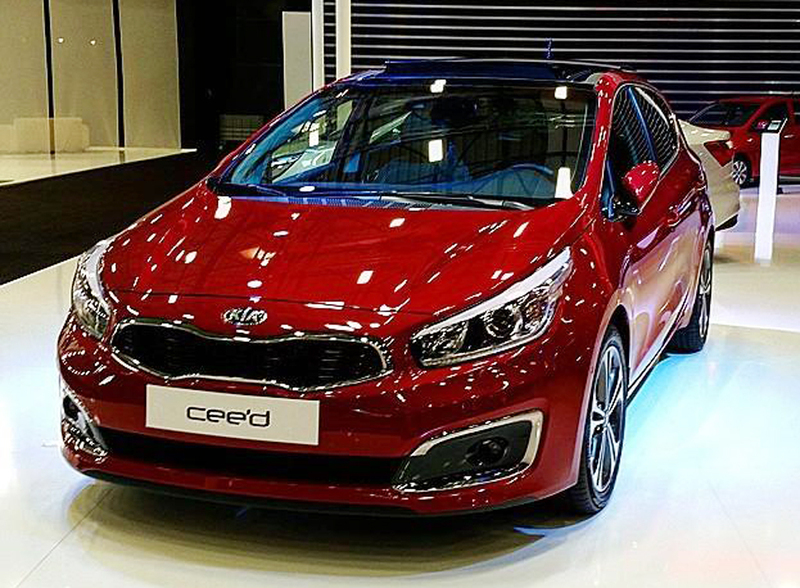 Kia motors comes up with the facelift image of the Kia cee’d as of 2016 as they announce the emergence of the new hatchback model in the more compact fashion. The car can boast of its subtlety as the revisions were performed as a bare minimum. The front bumper gets a slight modification with a unique grille design. The fog lights shrink with the chrome surround has an extra layer of subtlety. It is a model with fantastic specifications with an infra red exterior that has an option for sunroof. The wheels borrow their style from cee’d GT line. The rear ends arrange some stylistic tweaks for better taillight graphics. Some of the versions also come up with advanced upholstery and fresh trims. The engine is equipped with a 3-cylinder system with turbo power to generate 88 kW of power and the torque rating is 172 Nm. The engine capacity is of 1 litre. There is a dual-clutch seven-speed transmission of automatic nature. Also, there is an upgraded engine of 1.6 litre capacity and CRDi technology. A turbocharger comes in the engine too, for a better performance all around. The car is expected to hit the market after its public debut in Frankfurt motor show.